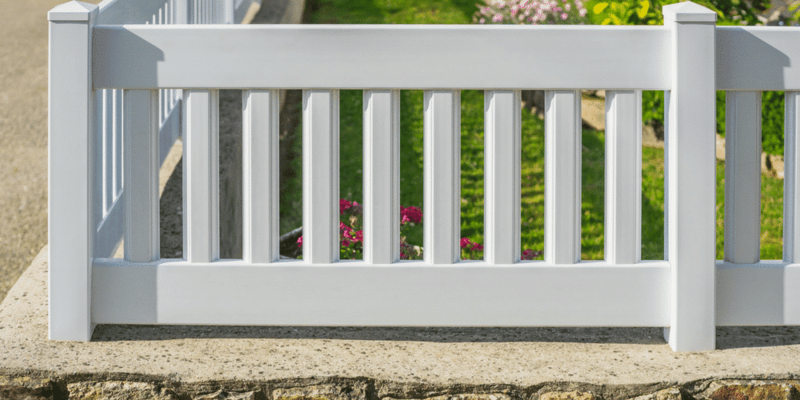 If you’re considering a new fence for your yard, you want one that offers beauty, privacy, and security for the entire time you’re in your home. But, are you also thinking about your home’s next owners? Consider steel fencing. According to real estate agents, fencing is one of the top five features home buyers want most. When you install ornamental steel fencing, it immediately boosts your home’s value. In fact, stainless steel fences net homeowners a profit of at least 50% of material and installation costs upon resale. While you can save money now by installing a wood or chain link fence, investing in a steel fence instead can pay off big if and when you do sell your house. Today’s real estate market is a competitive one. Anything you can do to make your home stand out can get you one step closer to the asking price you want. Stainless steel fencing is the perfect option as it fills many buyers’ biggest “must have” request. Why are steel fences so popular among today’s homebuyers? They offer security and a view. HGTV reports that “good neighbor fences” are a hot commodity in today’s market. A stainless steel fence meets that bill by offering unobstructed views of the neighborhood and natural surroundings while defining property boundaries and keeping kids and pets safe. Since the largest percentage of home buyers are under age 36 – many with children in tow – that combination is irresistible! They require little maintenance. Buyers want a fence, but they don’t want one they have to repair or maintain. In fact, a worn or damaged fence can drag down your home’s value. With their galvanized steel framework and cutting-edge surface protection, stainless steel fences are strong enough to handle the elements and will not rust or corrode. They complement any home. The sophisticated style of stainless steel pulls a home and yard together. Plus, with a variety of colors and accessories available, the right design offers instance elegance. Whether you’re selling a colonial, ranch or brownstone, steel fencing adds curb appeal and attention-grabbing aesthetics. Add to that some great landscaping, and you could increase your property value by up to 20 percent! They reduce home insurance premiums. If you have a pool or trampoline, or if your buyers plan to install them, a steel fence offers the protection a family needs, lowers deductibles and cuts monthly premium costs. The facts are clear – homes with high-quality fences are typically priced higher than those with no fence (or worse – a dilapidated fence in need of serious repair!). Whether you’re planning to sell your house in the next few years or making it your forever home, talk to the St. Louis steel fencing experts at Maintenance-Free Outdoor Solutions. We can help you choose a fencing option that adds value, while at the same time, adding privacy and protection. To learn more about steel fence prices and options, contact us for your free quote.